Yes All three at a fantastic price!. 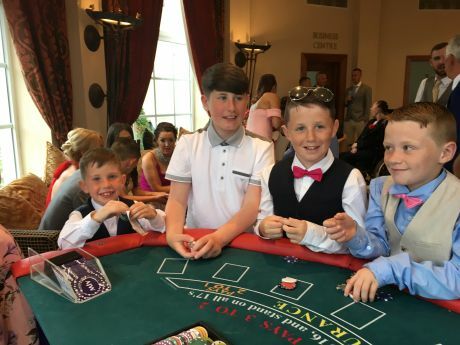 The Premier Fun Casino will recreate a casino on your big day with professional, friendly staff and top class casino equipment to give you and your guests an unforgettable day of amazing fun. We will arrive at least a hour before start time and assemble your Blackjack and Roulette tables ... 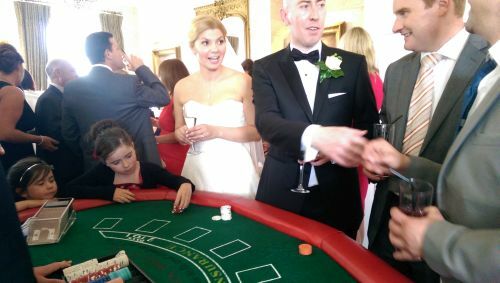 Your guests will then be presented with their fun money to take to the tables and exchange for playing chips..and The Games Begin. Our event lasts for two hours and approaching the finalé, we close the casino games tables, count everyones winnings and the seven top earners enter our grand final on The High Rollers Blackjack Table. So the evening climaxes on a tremendous crescendo with the finalists' friends and colleagues roaring them on. At what stage of the wedding should I have the Casino? 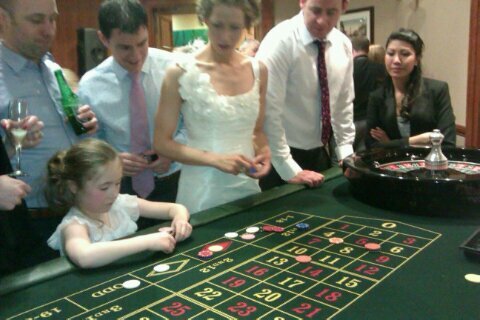 The Premier Fun Casino Wedding Entertainment may be used before or after your meal. However it is most popular in the two hours before the meal. This can be a time when guests become restless while Bride & Groom are having their photos taken. The casino fills this space. Its totally inclusive...Aunties, Uncles, Grandparents , Kids, In laws and ~ Outlaws ! The look on guests faces when the dinner gong sounds is amazing.. No one can believe two hours has gone. It really is a fantastic " icebreaker" making great conversation at the dinner tables ! Why Book Premier Fun Casino? 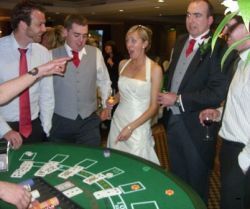 With over fifreen years experience in Wedding Entertainment, The Premier Fun Casino provides a fun casino entertainment package tailored to suit your wedding ..wherever and what ever the venue or wedding size. We will source any requests you may have ie. wedding magician, wedding Chauffeur, wedding band! The Fun Casino is not gambling but an inclusive live entertainment.. In fact we can print our own Fun Money with your pic & names if requested. 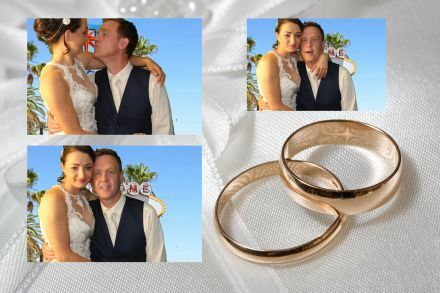 "Better than Vegas - a decision we are thrilled with making, a very professional, reliable service from first contact all the way through to the end and even after! 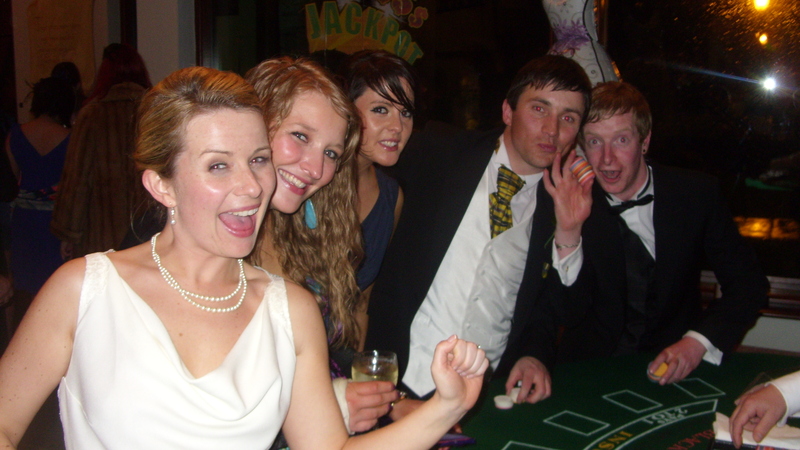 Premier Fun Casino helped us maintain a fun packed wedding reception enjoyed by absolutely everyone"